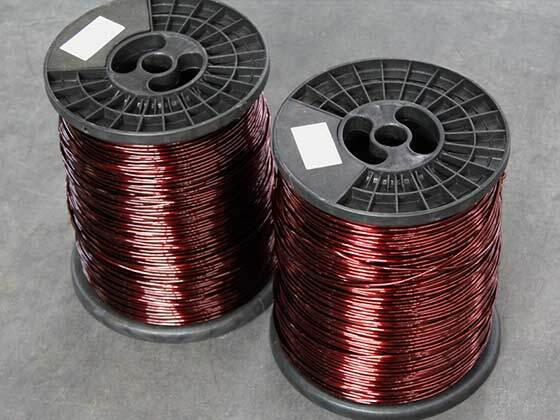 Enameled (aluminum) copper magnet round rectangular wires strips is made of oxygen free copper rod or electrical round (aluminum) rod by a certain size of the die drawing or extrusion of the wire, the insulation paint through many times of the winding wire. Mainly used in winding of transformers, motors, generators, and various electrical devices. Electrical resistivity : 0.017241/ 0.02785Ω.mm2/m. 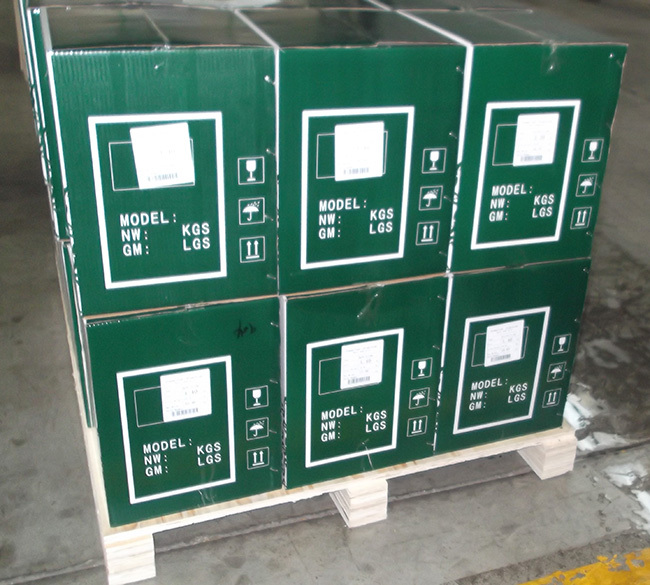 Breakdown voltage : Round Wire：2500/ 5000V. Heat shock : The minimum Heat shock temperature shall be 200.220.240℃ . Cut-through : 320，400，440℃，2min not break down. Resistance to solvents : Standard solvent. Using a pencil of hardness ”H” the coating shall not be removed. Appearance : Purplish, Smooth and bright and free from lacquer wart. Packing : Plastic spool or wooden spool.,flat wire length are customizable. Special size can be made with discuss. 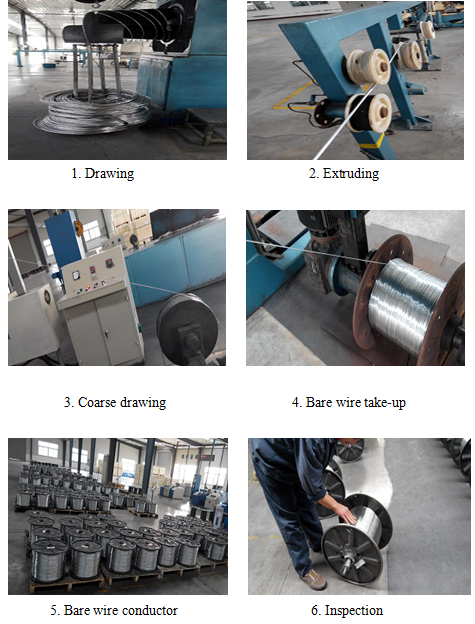 Drawing or extruding bare copper ((aluminum) ) wire confirm to national standard, smooth surface, no defects .Good performance insulation varnish, polyester or polyester-imide insulation varnish as underlying coat, Polyamide-imide as superimposed coating. 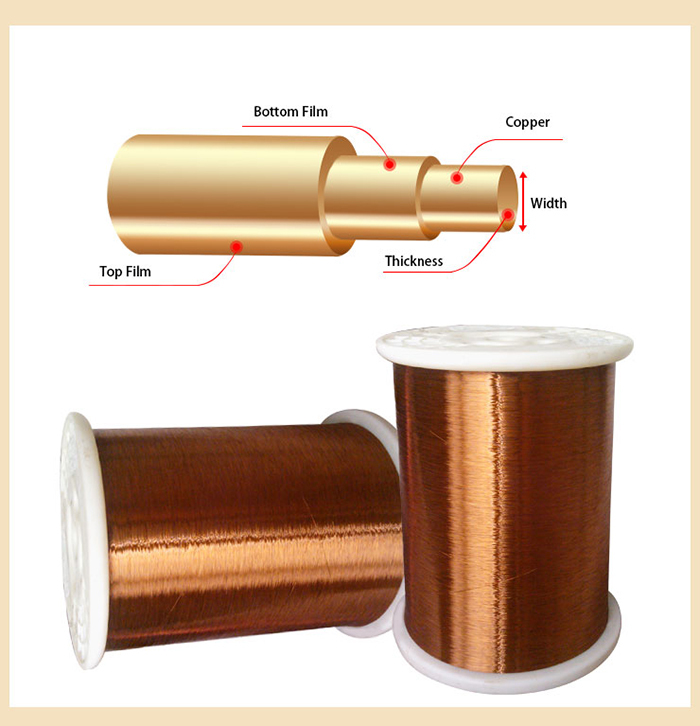 Enameled (aluminum) copper magnet round rectangular wires strips, is made by soft copper flat and soft copper flat wire in accordance with the provisions of the 5584.2-85 GB, 20℃when the resistivity is not greater than 0.01724Ω.mm2/m according to different mechanical strength requirements, the provisions of the semi hard copper conductor and (aluminum) conductor according to different mechanical strength requirements, semi hard copper conductor of non proportional C1Rp 0.2 (>100--180) N/mm2, C2Rp0.2 (>180--220) N/mm2, C3Rp0.2 (>220--260) N/mm2. 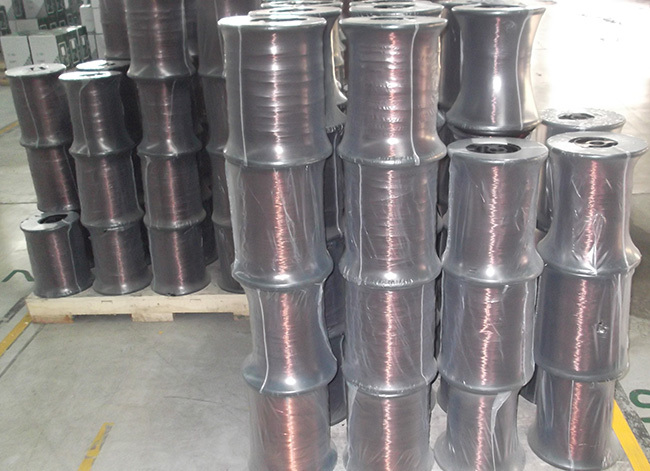 20 degrees of resistivity is less than 0.02801 Ω.mm2/m according to different electrical insulation requirements, selection of thin film 0.06--0.11mm or the thickness of the film 0.12--0.16mm. 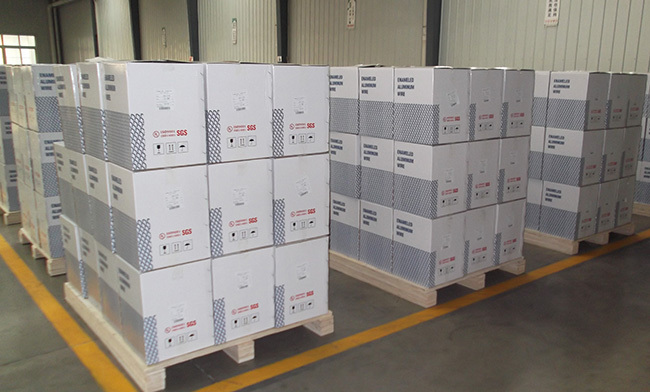 The heat adhesion paint package flat wire self-adhesive layer thickness is generally 0.03--0.06mm. 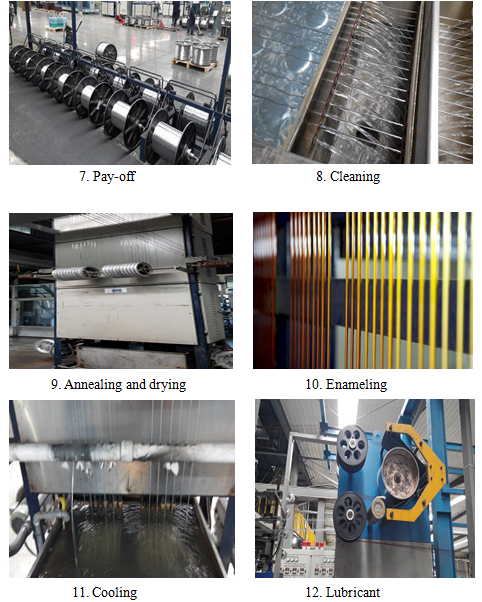 Our company the loss tester for TD11 painting process for screening, the film fixed more hasten is perfect. 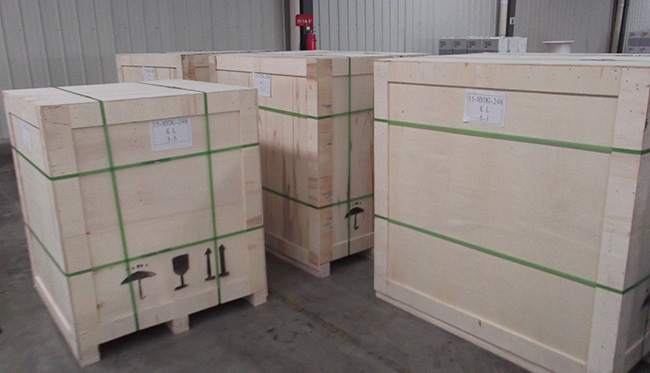 * If have special demand on paint thickness, please contact us as well.